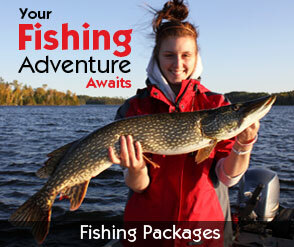 We offer a variety of Northwest Ontario fishing packages for your convenience. Check out our rates below and feel free to contact us! 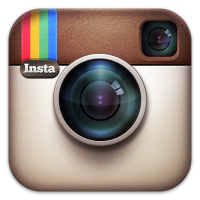 Corporate and custom packages or modified Plans are available upon request. All prices are Per Person in US Funds and do not include taxes or gratuities. We take great pride in creating the perfect Canadian adventure tailored to meet the needs of each of our guests. If you are here to fish with no time restraints or want to get relax and get off out of your daily routine, we offer the Housekeeping Package so you can do your own thing on your own time. You are more than welcome to prebook dinner in the lodge anytime during your stay and enjoy a night off cooking and dishes. For those of you who prefer more of an all inclusive getaway you can choose the American Plan Package and dine on home cooked meals daily in the Lodge. Pancakes, French Toast, Eggs Benedict, Barbecued Baby Back Ribs, Charbroiled Prime Rib Steak, Roasted Pork Loin are just a few of our specialties. 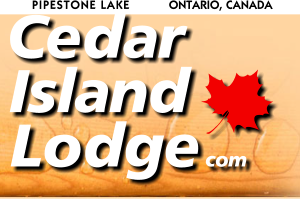 Let’s not forget what motivates countless anglers heading north each year… an authentic Canadian Fish Fry complete with pan fried potatoes, beans and Cedar Island Lodge’s delicious homemade cookies. There are no extra charges for docking or battery charging if you bring your own boat. Boat rentals, gas and bait are available for a fee, upon request for your convenience. 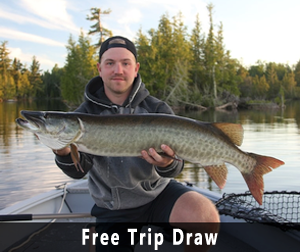 Experienced guides share their passion for fishing and offer the opportunity to explore the hot spots on Pipestone Lake and portage lakes. Your guided day is 8:30 a.m. to 4:30 p.m. Your guide will fish with you and will prepare your shore lunch and clean, package and freeze your fish. The fee for crossing the Mechanical Portage (if bringing your own boat) is $30.00 per boat and is charged on the return trip. Secure parking and launching is available, for a fee at Sportsman’s Landing, which is our pick-up point.